Despite falling short in the Davis Cup final as a team, David Goffin had a great finish to 2017, as he won titles in Shenzhen and Tokyo, reached the semifinals in Basel, and then the final in the ATP World Tour Finals in London. After the US Open he scored wins over Richard Gasquet, Adrian Mannarino, Jack Sock, Dominic Thiem, Rafael Nadal, and Roger Federer. In the Davis Cup final he defeated Lucas Pouille and Jo-Wilfried Tsonga but it still wasn’t enough. France finally won the Davis Cup, after losing a multitude of finals Tsonga and Pouille defeated Steve Darcis twice, and Gasquet and Pierre-Hugues Herbert defeated Ruben Bemelmans and Joris De Loore in what turned out to be the critical doubles rubber. Pouille defeated his teammate Tsonga in the Vienna 500 final, while Tsonga won Antwerp. Jack Sock won the biggest title of his career at the Paris Masters, he won over a weakened field with wins over Kyle Edmund, Pouille, Fernando Verdasco, Julien Benneteau, and Filip Krajinovic. He qualified for the World Tour Finals by virtue of that victory and reached the semifinals after going 2-1 with wins over Alexander Zverev and Marin Cilic. Grigor Dimitrov finished the year with 49 wins and 4 titles as he reached the final in Stockholm, and the final at the World Tour Finals in London, beating Pablo Carreno Busta, Goffin twice, Dominic Thiem, and Sock. Juan Martin Del Potro reached the semis in Shanghai, the final in Basel, took a title in Stockholm, and finished the year with a quarterfinal in Paris. Damir Dzumhur has 2 ATP titles to end the year as he won in both St. Petersburg and Moscow, while Hyeon Chung won the Next-Gen finals over Andrey Rublev. Nadal won Beijing and lost the final in Shanghai, shutting down his season at the World Tour Finals due to injury concerns but still finishing year end world #1. Federer won Shanghai and Basel to finish year end #2. Marin Cilic won his second title of the season and put himself into the final spot avaliable in the Race for London with a 6-1 7-6(5) victory over his rival Kei Nishikori. The Croatian was strong all week in Basel as he posted wins over Mikhail Youzhny, Pablo Carreno Busta, Marcel Granollers, and resurgent veteran Mischa Zverev en route to the final. Zverev took a set off of Cilic and continues to boost his ATP ranking after years in the challenger wilderness. He stunned home favorite Stan Wawrinka in the quarterfinals. Nishikori dropped to 1-4 in ATP finals this season, but he did beat Dusan Lajovic, Paolo Lorenzi, Juan Martin Del Potro, and Gilles Muller to make the final. The win over Del Potro was a big one for Nishikori’s confidence, and he looks healthy and ready to challenge the ATP’s elite next season. Marcel Granollers and Jack Sock beat Robert Lindstedt and Michael Venus in the doubles final. Andy Murray had no trouble in the final against Jo-Wilfried Tsonga as the world #2 continued his bid for the year end world #1. Murray took home a third straight title, as he’s unbeaten in ATP play since the US Open and showed at 29 years of age there is still room for improvement in his world class game. Murray beat Tsonga 6-3 7-6 for a seventh title this season, and his 69th win, compared to just 9 losses. Murray dropped sets against Martin Klizan and Gilles Simon earlier in the week, but John Isner provided little resistance in the quarters, and David Ferrer withdrew to give Murray a walkover into the finals and a much needed breather. Tsonga beat German’s Benjamin Becker and Philipp Kohlschreiber, then eased past Albert Ramos, and battled past Ivo Karlovic in a third set tiebreak to reach the final. The Frenchman only made one ATP final this season but he has now posted more wins in 2016 than he did last season, so there are signs of improvement. Lukasz Kubot and Marcelo Melo beat Oliver Marach and Fabrice Martin to capture the doubles title. The final ATP 500 level tournaments of the season take place this week in Basel and Vienna as the ATP World Tour Season continues to wind down. Four players, all in action this week, are competing for two ATP World Tour finals slots. Two of them, David Goffin, and Marin Cilic, are competing in Basel. Here is a preview with predictions. Three top 10 players will contest Basel, despite Rafael Nadal and Roger Federer being absent. Fritz scored a narrow h2h win over Zverev at the start of the year. The German veteran has come on strong since then, and has qualified ten times for ATP tournaments this year. Zverev has two ATP quarterfinals in recent weeks and his serve and volley game is clicking. Fritz hasn’t been quite as sharp, and although he has more potential as a young gun, Zverev should be the favorite in this match. Verdasco has lost three straight while his Spanish countryman just took home the title in Moscow and has proven himself as a tough competitor on hard courts. Verdasco’s decline as he ages has continued this season, and if PCB is fresh enough he should win this match. Dimitrov and Muller have split meetings 2-2, Dimitrov has been in better form as he’s posted two semifinals and a final post US Open. Muller has a pair of quarterfinals, but indoors with his powerful serve and crisp volleys he can do a lot a damage. Presuming fatigue doesn’t weight down Dimitrov, he should break the deadlock and win this match. US Open champion and Swiss hero Stan Wawrinka should have no problems with countryman Marco Chiudinelli, then Donald Young or Illya Marchenko in the next round. Wawrinka looks set to face Antwerp champion Richard Gasquet in the quarterfinals as a struggling Guido Pella is his first opponent, followed by the Zverev/Fritz winner. At home in Basel, Wawrinka should be the favorite over Gasquet in a backhand battle. Marin Cilic is 11th in the race for London, and the farthest out from qualifying. The Croatian #1 will be a clear favorite against veteran Mikhail Youzhny, and should also beat Verdasco or PCB in round 2. Jack Sock lies in Cilic’s path to the semifinals, the Stockholm finalist is 7-2 in his last two tournaments and opens with Adrian Mannarino. Switzerland’s Henri Laaksonen could follow if he can upset veteran Marcel Granollers. Sock beat Cilic at the US Open this year, but fatigue could play a factor, and Cilic has more to play for so I’m picking him to reach the semifinals. Milos Raonic hasn’t been healthy and he’s been struggling lately, but he should defeat qualifier Ricardas Berankis in round 1. Andrey Kuznetsov should dispatch a struggling Federico Delbonis, and he’ll have his shot at upsetting Raonic. It’s a touch match to predict, but I’m going with Kuznetsov in an upset. Dimitrov should beat Muller and Florian Mayer or Benoit Paire before beating Kuznetsov/Raonic for a spot in the semifinals. Both Paire and Mayer are struggling. David Goffin and Kei Nishikori are in a section with Stockholm champion Juan Martin Del Potro, and as that would indicate, this is the strongest section of the draw. Goffin is 10th in the race for London, and in reality he’s just one spot out, as Rafael Nadal, currently in 7th, has already withdrawn from all tournaments this season to help heal his wrist. The Antwerp semifinalist Goffin has struggled against his first round opponent Marcos Baghdatis historically, but he’s outplaying Baghdatis right now and still is likely to get the win. I have Del Potro beating Robin Haase, and then Goffin. Del Potro played so well in Stockholm he’s the favorite to reach the semifinals. Nishikori is coming back from injury and should defeat Dusan Lajovic, and Nicolas Mahut or Paolo Lorenzi before falling to Del Potro. The usual suspects, Wawrinka, Del Potro, Goffin, Nishikori, Sock, and Gasquet are the favorites for the title. Zverev could cause some trouble as a qualifier though. Gasquet and Wawrinka should be wary of his place in the draw if he continues to serve and volley well. The veteran was once a promising talent, and although he’s normally made his living on the challenger tour, he still has plenty of talent. Del Potro beat Dimitrov in Stockholm, Wawrinka has dominated Cilic in the h2h, and playing at home in Basel he’s the favorite for the title. Wawrinka beat Del Potro at the US Open this year, and I’d favor him to do so again if they meet in the final. Roger Federer made it seven titles in his hometown of Basel, and six titles in 2015 with a 6-3 5-7 6-3 victory over rival Rafael Nadal. The match with Nadal was Federer’s first this season, and he performed well in the opening set, and in the clutch to finish off the Spanish lefty. Nadal got a late break in the second set and played well overall, but on indoor hard courts, the surface and venue favored Federer. Roger had a pair of tough matches earlier in the week, as he was pushed to the brink against Philipp Kohlschreiber in round 2, and lost a set to David Goffin in the quarterfinals, but routine wins over Mikhail Kukushkin, and in the semis against Jack Sock were masterclass performances in front of appreciative home fans all week. Sock continues his fantastic run of form with another deep run in an ATP tournament and has had a career year overall. The American beat fellow Yanks Denis Kudla, John Isner, and Donald Young to reach the semis. Rafa completed another fantastic Fall ATP tournament with wins over Lukas Rosol, Grigor Dimitrov, Marin Cilic, and Richard Gasquet in Federer’s backyard. With the exception of the Gasquet match, Nadal had to fight hard to win this week his first three matches going the distance. All three opponents put in serious roadwork, but Rafa performed surprisingly well on indoor hard and showed a spark he hasn’t for most of this season. Alex Peya and Bruno Soares took home the doubles title over fellow doubles specialists Jamie Murray/John Peers. Portugal’s #1 Joao Sousa secured a career high ranking of #34 in the world with his second career ATP title a 3-6 6-3 6-4 victory over home Spaniard Roberto Bautista Agut in Valencia. Sousa started slow, but Bautista Agut would begin to run out of energy and see his shots go awry. By the end of the second set it was clear the Portugese man had seized the advantage, and his baseline ball striking was frustrating fellow ball striker RBA. Sousa caught fire this week with wins over Gilles Muller in 2 sets, Benoit Paire in 3 sets, Pablo Cuevas in 2 sets, and Vasek Pospisil in 2 sets to reach the final. In a small tournament where form matters, Sousa got on track at the right time and his aggressive ball striking helped him prevail. Sousa has reached four 250 level finals this season, with the one title this week. RBA reached his second final this Fall as he’s found a late season run of form. He beat countryman Nicolas Almagro in 3 sets, Andrey Rublev and Mischa Zverev in straights, and Steve Johnson in three sets, saving multiple match points in the process, to reach the final. Johnson, like his fellow American Jack Sock, has had fantastic fall with deep runs at the ATP level and continues to improve. Eric Butorac and Scott Lipsky defeated Feliciano Lopez and Max Miryni in a battle of veterans to take home the doubles title. The 2015 Swiss Indoors tournament has a star-studded field with eight out of the world’s top 16 players participating in the event. Headlining the strong field is Roger Federer, who will be bidding to claim a historic seventh title in Basel. Ahead of the main draw, two rounds of qualifying took place with 16 men battling for four places in the main draw. 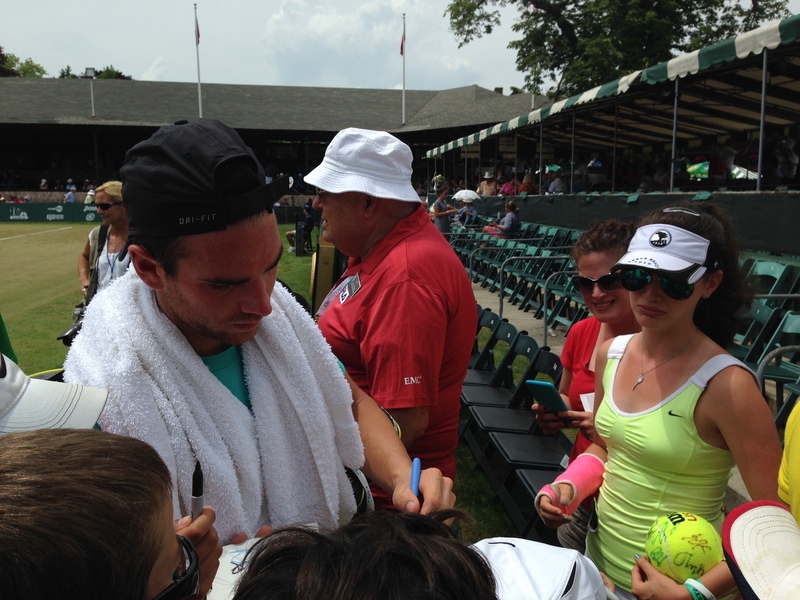 French top seed Adrian Mannarino endured a bumpy ride into the main draw. In his first round of qualifying he defeated Australia’s John-Patrick Smith (6-4, 6-4), to set up a meeting with American fifth seed Denis Kudla. Kudla moved into the second round after his opponent, Serbia’s Filip Krajinovic, retired at the start of the third set. Mannarino was in danger of losing to Kudla as he trailed 4-0 in the deciding set of the match. Despite the odds being in Kudla’s favour, he failed to maintain the lead as Mannarino clawed his way back to win 6-2, 2-6, 6-4, after an hour and forty-eight minutes. Mannarino will play in the main draw of the tournament for the second time of his career. The first was in 2013 where he lost in the opening round to Roger Federer. The 27-year-old will be aiming to reach his third ATP final this year after Auckland, New Zealand in January and Bogota, Colombia in July. In the first round Mannarino will play Serbia’s Viktor Troicki for the first time in his career. At 42 in the world, Mannarino is currently ranked 18 places lower than Troicki. There was consolation for Kudla after he received a lucky loser place in the main draw following the withdrawal of Marcos Baghdatis. In the main draw he will play fellow American Jack Sock. Kudla has played sock on four previous occasions, losing in three of them. Their most recent meeting was in the first round of the Canadian Open where Sock won in three sets. Former Wimbledon semifinalist Jerzy Janowicz was more convincing in his qualifying campaign. The world No.65 recently underwent surgery on his left knee when he had stem cells injected into it. In the first round, he brushed aside Spanish wild card Jaume Munar (6-1,6-3). The fourth seed faced a potentially tricky match against former top 10 player Minhail Youzhny, who beat Georgian sixth seed Nikoloz Basilashvili in straight sets. The Russian was no match for Janowicz as the Polish player defeated Youzhny 6-4,6-1 after 65 minutes. Janowicz will play Germany’s Philipp Kohlschreiber in the first round. The Pole will be hoping to repeat his form displayed during last week’s Vienna Open where he stunned fifth seed Dominic Thiem in the first round. It is this second time this year that Janowicz has played the German. Their first encounter was in the second round of the Stuttgart Open where Kohlschreiber won in straight sets. Robin Haase overcame a testing second round match to reach the main draw. In the first round, he Defeated Swiss wild card Adrien Bossel (6-2,6-4) to meet Benjamin Becker. Becker dropped just three games in his opening match against Swiss qualifier Antoine Bellier. Despite being broken four times in the second set by the German, Haase edged past Becker 6-4, 7-6 (4). Haase’s first round opponent will be Austrian 22-year-old Dominic Thiem. The Dutch player currently has a 100% winning record against Thiem after winning their two previous meetings (2014 Vienna Open and 2015 Davis Cup). Completing the lineup is Serbia’s Dusan Lajovic, who survived a marathon encounter. After a straight sets win over France’s Paul-Henri Mathieu, he faced Belgium Ruben Bemelmans. The Belgian stunned second seed Albert Ramos-Vinolas in the first round. Lajovic was two points away from defeat but held his nerve as he edged his way past Bemelmans 7-6 (3), 6-7 (5), 6-4, after two hours and eleven minutes. Lajovic’s reward for surviving his marathon match will be a clash with Ukraine’s Alexandr Dolgopolov. The Serbian will be seeking revenge after losing in three sets to Dolgopolov in the third round of the 2014 Miami Masters. Two weeks are left in the 2015 ATP Season as the tour stops for a 500 level tournament in Basel, and a 250 level tournament in Valencia, both on indoor hard courts. 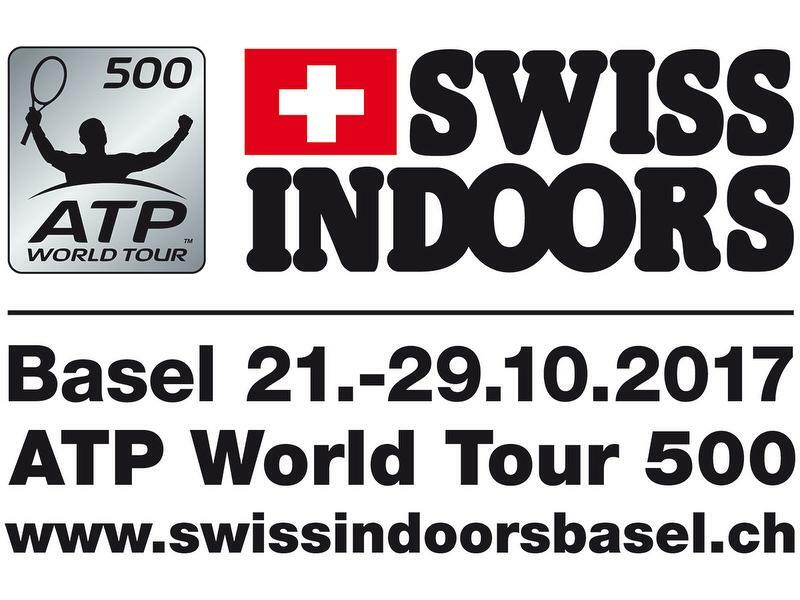 A host of top 20 players invade Basel as the final ATP 500 of the season boast a top notch field for a 500 level tournament. Basel has gone above and beyond the home heroes Federer and Wawrinka in terms of attracting tennis talent. Janowicz came through qualifying and is 8-3 in his last three indoor hard court tournaments, he also a h2h indoor hard court win over the veteran Kohlschreiber. Peppo is 7-2 in his own right since the US Open though and has posted two ATP semifinal showings this Fall. Big hitting will collide with quality ball striking and with both players in good form it should be a high quality contest. I see Kohlschreiber surviving this early test. Anderson rolled past the young gun Coric in Winston-Salem this year but the Croatian is returning to the scene of one of his best ever wins, as he beat Rafael Nadal in a shocker here last year. Anderson has two ATP quarterfinals this fall and continues to play some great fast surface tennis. Coric is just 1-3 in his last four matches and could badly use a confidence boosting win. This one should be closer than expected but Anderson should serve too well for Coric to notch an upset. Ernests Gulbis has plenty of talent but he’s endured yet another awful and disappointing season.With that said, things may be turning around for the Latvian #1, as he reached his first ATP semifinal of the season in Vienna and snapped a long losing streak. Isner lost to Gulbis in Vienna last week and he’s looking to avenge that three set defeat with methodical serving. Given his 2-1 overall h2h on hard courts and Gulbis lack of consistency I look for the American #1 to avoid getting upset again. Home hero Stan Wawrinka needed a third set tiebreak to get past the big serving Ivo Karlovic in Cincy this year, but he leads the overall h2h 5-1 and he’ll have the crowd behind him for this tricky opening round match. Nobody likes to play Karlovic given how well he serves and he does have two ATP quarterfinals this Fall. With that said, Wawrinka’s form and motivation should be good enough to win a tiebreak or two and advance. Six time Basel champion Roger Federer always plays well at his home tournament and has been fantastic this season when not facing the top 3 (excluding his shocking early loss in Shanghai to Albert Ramos). Federer could have an interesting round 2 match against the Kohlschreiber/Janowicz winner, but otherwise I look for him to get through to the semifinals unscathed. Federer is 2-0 against his round 1 opponent Mikhail Kukushkin, a journeyman, and 10-0 in the h2h against Kohli, though the German has tested him this season. In the quarterfinals the Swiss Maestro is likely to face David Goffin, his understudy. Goffin isn’t in great form but he opens with a struggling Andreas Seppi, and then either Viktor Troicki, or more likely qualifier Adrian Mannarino, both of whom are struggling as well. Federer is 2-0 against Goffin and they met in the final of Basel last year. Anderson and Isner should be on a collision course to meet in the quarterfinals, if young talents with firepower don’t derail them. After Coric, Anderson will face either Henri Laaksonen or Donald Young and he should roll through that one given his superior talent and form. Isner has a more difficult test with Stockholm finalist Jack Sock likely to await him in round 2. Sock will need to beat fellow American Denis Kudla first, and Isner of course has to beat Gulbis. Kudla has won the past three meetings against Sock, even though Jack has surpassed him in terms of ranking and career accomplishments. Sock has an ATP quarterfinal and his second career ATP final already on his resume this Fall and is in the midst of a career year. Given the fact he played in both the singles and doubles finals in Stockholm, Kudla upsetting a tired Sock wouldn’t surprise me, and I give Isner an edge to get past Sock regardless (4-1 h2h). Isner has won the last five meetings against Anderson and though it should be a tight quarterfinal contest, I give the American #1 the edge to survive in tiebreaks and reach the semifinals. Stan Wawrinka has never reached the finals in Basel and his draw doesn’t get any easier after Karlovic as the dangerous shotmaker Alexandr Dolgopolov should await him in round 2. Dolgo faces qualifier Dusan Lajovic and is likely to snap a five match losing streak since reaching the Cincy Masters semis this summer. Dolgo has a 2-1 h2h edge over Wawrinka, who can get erratic at times and play well below his ranaking (while Dolgo can play like a top 10 player). With that said, given the Ukrainians poor form as of late I favor Wawrinka (or Karlovic) to reach the quarters. There, Stockholm semifinalist Richard Gasquet should be waiting and he may well be the favorite to reach the semifinals after going through a path of Jiri Vesely and most likely Dominic Thiem in rounds 1 and 2. Thiem has hit the skids since reaching the semis in St. Petersburg and faces qualifier Robin Haase first up. Both Gasquet and Thiem have very technically sound games and it should be a must-see match in round 2 if they meet. I look for Gasquet to continue his good form and oust the Tokyo champion Wawrinka at home. once more denying him a shot at the Basel trophy. Gasquet beat Wawrinka on grass this year at Wimbledon and each player features an elite backhand. Rafael Nadal got a relatively benign path to the quarterfinals, The Spaniard, who is 7-2 since the US Open with an ATP final and semifinal on hard courts, opens with Lukas Rosol first up. Rosol famously shocked him at Wimbledon, but he’s failed to repeat that type of result on a consistent basis, and though he comes off the quarterfinals in Vienna I don’t see lighting striking twice. A seemingly healthy Nadal badly needs late season points to boost his ranking and should give it his all after another rough season by his standards. Grigor Dimitrov, a quarterfinalist in both Stockholm and Kuala Lumpur, is another player with the talent to trouble, and in fact, oust Nadal, but given his flat season and recent form, I don’t see that happening. Dimitrov, who is now working with Franco Davin as his coach, played better in Stockholm last week but is still playing well below his abilities. Nadal is 6-0 in the h2h against Dimitrov, who opens with Sergiy Stakhovsky round 1. Marin Cilic has been on fire since the US Open and he was given perhaps the easiest path to the quarterfinals of any of the seeds. The Moscow champion is 10-3 this Fall and is finally back playing near to the level he was at when he won the US Open title, before he suffered an injury that messed up the first half of his 2015 season. Cilic is playing above his current ranking and should blitz Marco Chiudinelli and Moscow quarterfinalist Teymuraz Gabashvili (who opens with a struggling Leonardo Mayer) in his first two matches. Fatigue could play a factor in his performance, but he has such an easy early path that I see him getting through. On a hard court Cilic has the game to give Nadal fits, but with both players in good form, I give Rafa an edge due to the fact he should be fresher for their match, either way it’s an interesting section. Jack Sock is likely too gassed to make a run in this one, so I’m going with Karlovic as my dark horse this week. All it takes is Dr. Ivo winning a couple of tiebreaks and he could slip past Wawrinka and bust the bottom half of the draw wide open. At 36 he’s a remarkable 36-23 on the season with an ATP title, an ATP final, and a handful of ATP semifinals as well. Karlovic has already beaten Tomas Berdych, Novak Djokovic, and Milos Raonic this season, and he’s looking to add Wawrinka (and possibly Gasquet’s) name to that list. You can’t really predict Federer not to reach the final here no matter what happens with the other section. The tournament organizers surely want a Federer vs. Nadal final, and I feel they are going to get it this time. Presuming Wawrinka goes out, Rafa (or Cilic) have a big edge to make the final. Gasquet has a famous mental block against Rafa. Nadal has a matchup edge with Fed generally speaking, but indoors and with Federer in much better form this season the Swiss should take his seventh Basel trophy. Basel is understandably much stronger this week but Valencia has still gathered some fan favorites and three top 20 players. Joao Sousa has lost three straight but he did reach the final in St. Petersburg and he’s at his best in these indoor hard court 250s where he often gets on a hot streak and rides it to a final. The Portugese ballstriker will go up with the consistent serve and volleyer Gilles Muller. You know what you’re going to get with Muller, but he’s had a fantastic season and has two ATP quarterfinals and a semifinal on his resume this fall (7-3 record). You never know with Sousa, but Muller should continue to serve well and volley crisply for a win. Fan favorite Spaniard Nico Almagro is trying his best to return to the ATP level after injuries, while his countryman Roberto Bautista Agut looks to continue the energy from his best result of the season in Moscow, where he reached the final last week. Almagro won a round in Stockholm last week and RBA could be feeling fatigued, making this match worth watching, but more than likely RBA will be too consistent and advance. Steve Johnson is nearly into the top 30 now and he’s in the midst of a career year o nthe ATP World Tour. Johnson is favored in this match after reaching his first ever ATP final in Vienna, and he’ll try to follow up that run with a solid win over the power hitter Klizan, who posted a semifinal in Metz not long ago. Klizan is very inconsistent but when he’s at his best it’s hard to deal with his powerful ground strokes. Johnson should be favored but I’m not certain he’ll win this. David Ferrer is a three time champion in Valencia and he badly wants to clinch his ATP World Tour finals spot at home. The Spanish veteran is 50-12 this season and just captured his fifth title this year in Vienna. He also has a title in Kuala Lumpur this Fall and he’s tearing up the indoor hard court circuit. Nick Kyrgios, a semifinalist in Kuala Lumpur, and a quarterfinalist in Tokyo, will do his best to stop him, presuming Kyrgios beats a qualifier in round 1. That should be a difficult test for a possibly fatigued Ferrer, and Kyrgios has the firepower to win it, but Ferrer’s fight and consistent groundstrokes should help him advance. Look for Jeremy Chardy or Vasek Pospisil to fall victim to that trademark Ferrer fight in the quarterfinals. Pospisil opens with a struggling Santiago Giraldo while Chardy faces Aljaz Bedene. They both should win those matches, and Chardy has been in better form (reached the quarters in Stockholm) thus I have him beating Pospisil. Though to his credit, the Canadian has had tough draws recently. Ferrer is 7-2 against Chardy in the h2h but Chardy shocked him at the US Open this year when Ferrer wasn’t 100% healthy. Ferru will get his revenge and reach the semis this week. Shanghai quarterfinalist Bernard Tomic lost early in Stockholm but he should be a near lock for the quarterfinals this week, with only Pablo Cuevas/Pablo Carreno Busta in his way. Tomic is inconsistent and that’s something either Muller/Sousa or Benoit Paire should take advantage of. Paire opens with a qualifier and has been playing with renewed passion this season. The Frenchman has a challenger and an ATP final since reaching the second week of the US Open. With that said, he could well be fatigued from those runs. I have Muller beating Sousa, Paire, and the junkballer Tomic to reach the semifinals as a dark horse. The conditions in Valencia should suit his game. Feliciano Lopez has a terrible record in Valencia and he could well go down in defeat once more at the hands of Johnson/Klizan. The 34 year old has an ATP final this Fall in Kuala Lumpur, but his poor record here has me favoring Klizan to sneak into the quarterfinals thanks to a lucky draw, even though it looks harsh. Fernando Verdasco also has a good draw, needing only to beat Guillermo Garcia-Lopez (6-2 h2h) and a qualifier to reach the quarterfinals. GGL did reach the Shenzen final but both Spaniards could badly use a positive result right now as they are struggling. Verdasco beat Klizan at Wimbledon this year, but the Spaniard is in the midst of his career decline and Klizan should find a way to dark himself to a win. Beijing semifinalist and Vienna quarterfinalist Fabio Fognini seems to have found that rare moment of consistent top 20 play, and he’s not going to want to share that bliss with either a qualifier or the struggling Thomaz Bellucci in round 2. Fognini should make it to consecutive ATP quarterfinals, and he’ll have a great shot to knock off fellow ball striker RBA in the quarters (5-2 h2h). RBA faces Marcel Granollers/Andrey Rublev in round 2, presuming he defeats Almagro. If Muller plays within himself and relies on his trademark style he should at least draw some crowds, and at the best manufacture a late career masterpiece and find a way to win an ATP title in Valencia. Like Karlovic, Muller’s serve and volleying leaves little room for error, and he faces a beatable field if he’s allowed to do things his way. Fognini is the stronger player in his section, and he’s faced Klizan in big matches before. Ferrer tends to play well against serve and volleyers. Look for Fognini to catch fire and beat down anyone in his path, that is except for Ferrer, who strikes the ball well and should be able to challenge everything Fognini does well. The Spaniard is motivated and that has to be part of the equation when it comes to taking the title. Ferrer jut got past Fognini indoors in Vienna.